PTWS.pt Review 2019: Is PTWS.pt a Good Hosting? PTWS.pt is a hosting brand that offers internet solutions powered by Portuguese company Dominios.pt. PTWS.pt is an internet solutions arm of Dominios.pt, a Portuguese company that has offered domain registration and other internet services since 2001. 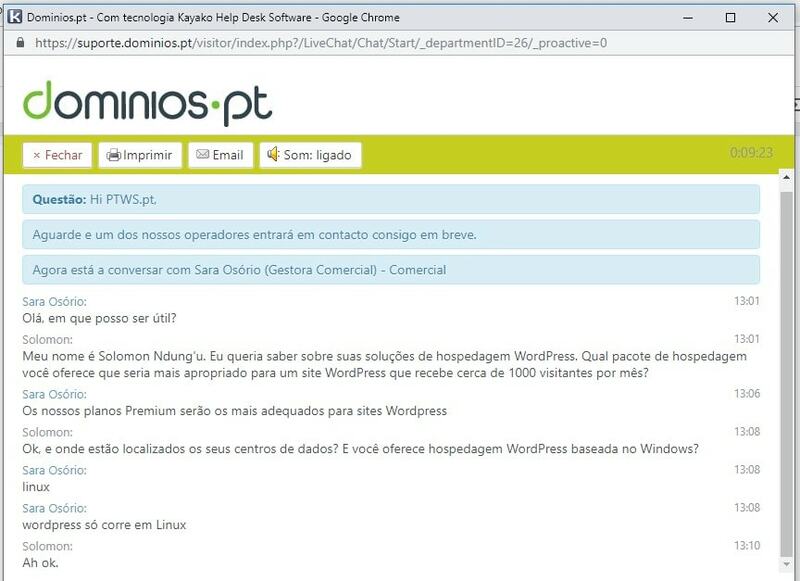 While both brands offer hosting solutions, and in fact some of the links from PTWS.pt lead to Dominios.pt’s pages, this review focuses on the web hosting solutions described on PTWS.pt’s own pages. These hosting solutions include Linux, Windows, and reseller hosting, plus VPS, dedicated servers, and SSL certificates. The PTWS.pt website is in Portuguese. The hosting solutions are available on both Linux and Windows operating systems. You get the cPanel control panel with the Linux plans and Plesk with the Windows plans. Linux hosting packages range from Easy (3 GB SSD storage, 3 domains, 3 MySQL databases, 3 emails, and 512 MB RAM) to Extreme (200 GB SSD disk space, 20 domains, unlimited MySQL databases, unlimited email accounts, unlimited bandwidth, and 2 GB RAM). Windows hosting packages range from Starter (5 GB SSD, 1 domain, 5 parked domains, 10 emails) to Enterprise (40 GB SSD disk space, 10 domains, unlimited subdomains, and unlimited emails). PTWS.pt’s managed and unmanaged VPS solutions are powered by a CentOS (Linux) KVM, with a fully managed VPS plan including 24/7/365 proactive monitoring and management. The Continuous Data Protection (CDP) backup system powered by R1Soft continuously creates copies of your website data with multiple restore points. PTWS.pt’s hosting plans are competitively priced in euros and can be bought on annual, biennial, and triennial billing cycles. The consolations for multi-year commitments are discounted prices and a 30-day money-back guarantee that should get you out if anything goes wrong within the first month. You also get a 99.9% uptime guarantee, which is not the highest on the market. All support links on the PTWS.pt website will take you to Dominios.pt where you will find a 24/7 ticketing system and a “business hours” telephone number. Having tried (and failed) several times to send a message via this vendor’s contact form, I then tried the live chat support link which opens a support window via the Dominios.pt domain. The conversation started well (in Portuguese), and progressed slowly until all my questions were eventually answered. It looks like the PTWS.pt website is really just a front and a sales funnel for the Dominios.pt parent company. The solutions are pretty much (if not exactly) the same, but with promotional offers differing between the two sites. Whichever way you find your way into this vendor’s services, you can be assured of a competent Portuguese provider. 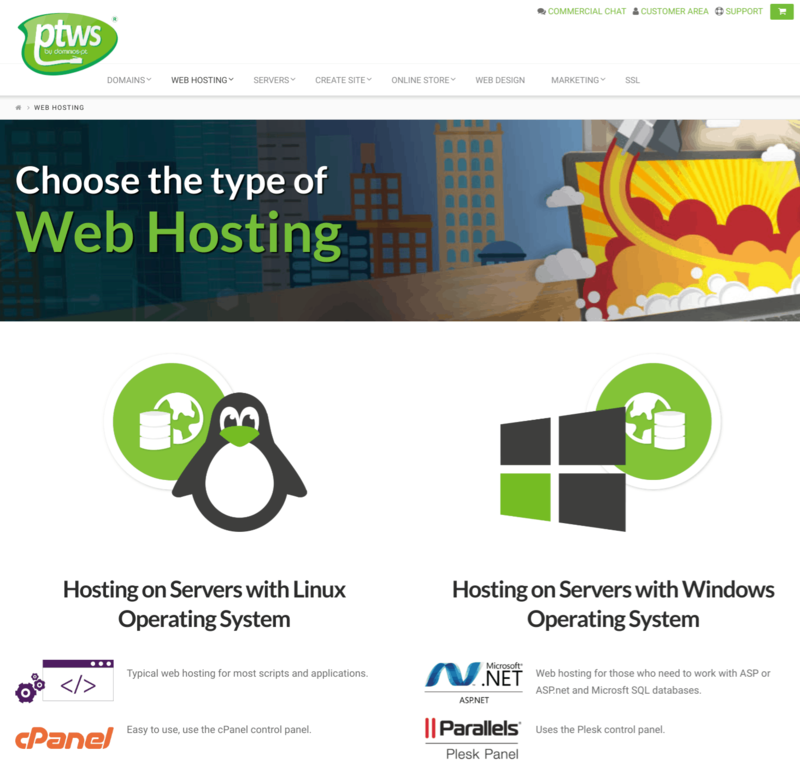 Wondering how PTWS.pt stacks up against other Web Hosting companies? Enter any other Web Hosting company and we will give you a side-by-side comparison.